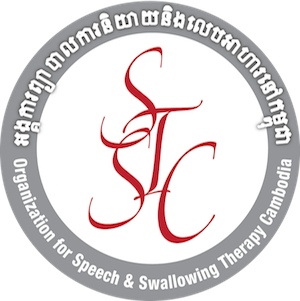 Speech Therapy Cambodia was established as a nonprofit corporation in 2013, but its origins go back a long way. 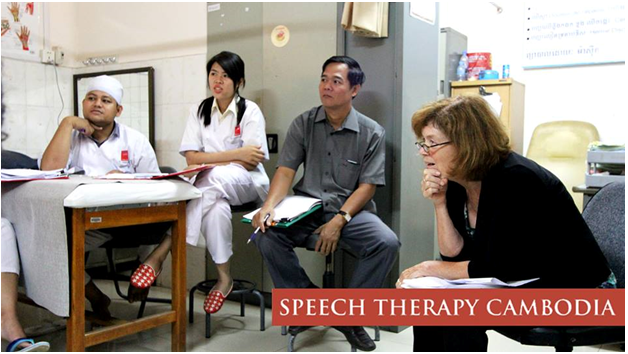 Since 2002, there have been individual speech therapists operating in Cambodia on short-term focused missions and in private clinics. All of these missions and clinics have focused on the pediatric population. One notable mission, for example, has been Operation Smile Cambodia, where speech pathology experts such as Dr. Alice Smith have treated children with cleft lip and palate. After STC founder, speech therapist Elizabeth Chafcouloff, visited Cambodia in 2008, she began investigating opportunities for volunteering on a regular basis, wanting to work with adult patients who suffered from strokes or other neurological impairments. Betsy had worked in hospitals and in nursing homes in the United States, and hoped to be able to apply her skills to support and train Cambodian professionals doing similar work. After several years of outreach to individuals and organizations working throughout Cambodia, she found that there were no speech therapists or health organizations treating adults with speech or swallowing problems. So after corresponding with an ever-increasing network of contacts, Betsy and co-founder Elizabeth Willson established STC as a 510(c) (3) tax-exempt nonprofit corporation in September 2013, and in December of that year, Betsy went to Cambodia for three months to establish the groundwork for STC, working with the staff at Khmer Soviet Friendship Hospital, one of the largest public hospitals in Cambodia, and the one serving the most impoverished patients.